Correct breast collar placement for a mule or donkey? It’s a question that comes my way several times a year and it’s one that mule and donkey owners definitely need a specific answer to. The problem is that mules are v-shaped in their shoulders. Why does that matter? The shoulder shape on the mule and donkey is the exact opposite of the shape you’ll find on a horse. 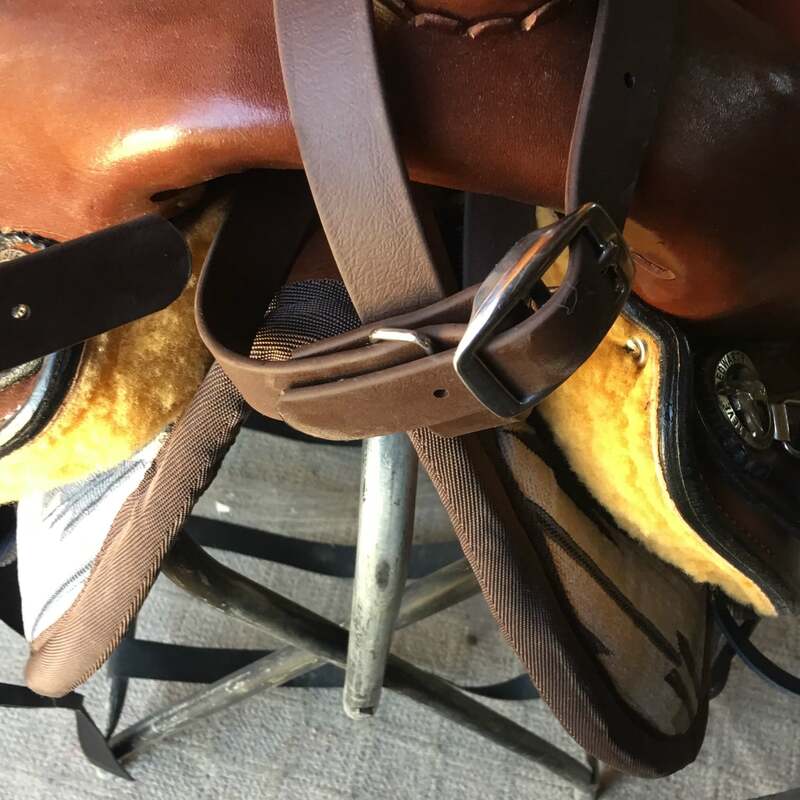 If you choose to use a horse breast collar which attaches to the rings on the saddle or a pulling collar (which is the worst) that attaches to the pommel, it is going to pull the saddle forward. Anything that’s attached hard and fast will pull your saddle forward. Are horses different from mules and donkeys? You betcha! 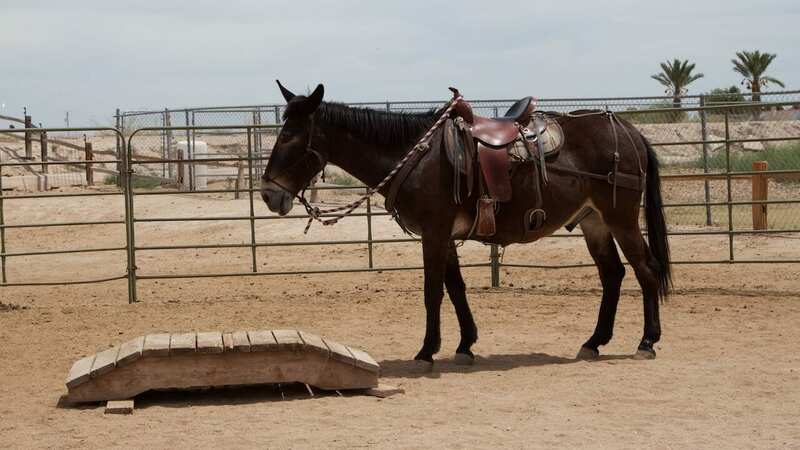 Horse trainers might mean well trying to train a mule or a donkey, but you want to work with someone who understands HOW mules and donkeys are different from horses and how to communicate with them based on those differences. A horse saddle may be able to sit on a mule or donkey, but you’ll never get the best out of that mule or donkey because the horse saddle is causing them excruciating pain. 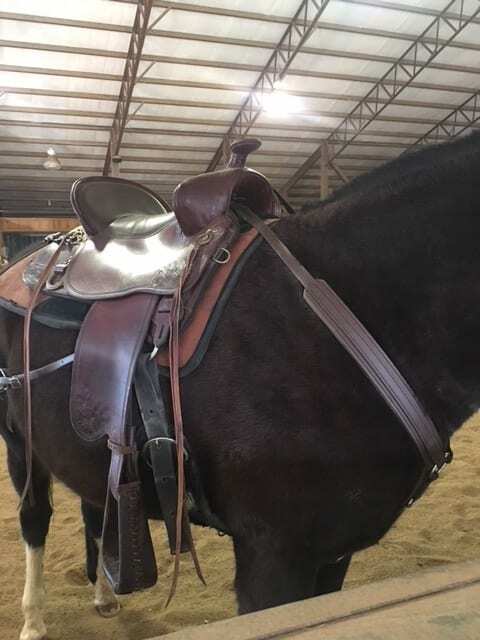 And in the same way, a horse breast collar may ‘fit’ on a mule or donkey, but in an effort to repurpose your tack or save a few dollars, you will be damaging your animal and holding yourself back from getting the best out of Ole Fluffy. For the longest time, folks didn’t realize the differences between a breast collar on a horse and a breast collar on a mule. Just like they thought an equine saddle is an equine saddle. The mule and donkey would be in pain, the owner would just think that the animal was stubborn and go on using improper equipment. I never got into the mule and donkey world thinking I would develop a breast collar, but when I realized the difference in movement between a horse and a mule, I had to do something. No breast collar existed which would compensate for the unique movement of the mule or donkey. 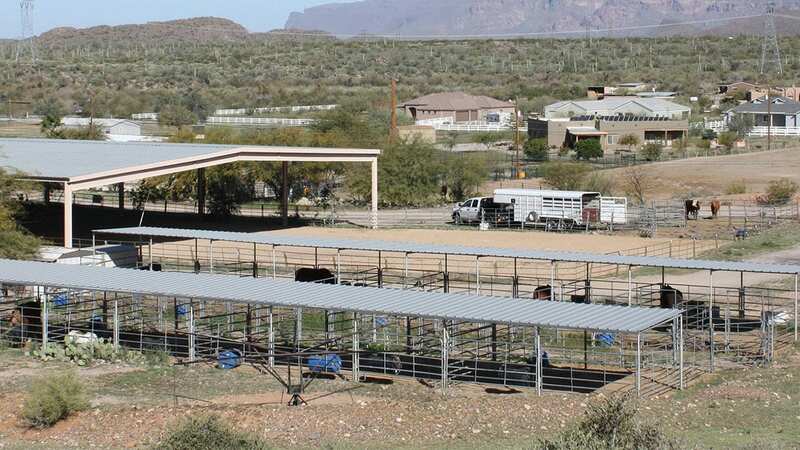 So I could either continue to hurt the animal and have the saddle keep pulling forward or I could create something that showed my animals I cared about them – not to mention, get the most out of them. My breast collar is attached to the pommel, but if you look closely you’ll see that it actually isn’t ‘attached’ to anything. Instead, I have a small strap attached around the horn and the breast collar actually slides through that strap. As the mule moves, the breast collar moves back and forth. It gives to accommodate the movement of the animal. The 28-inch pummel strap goes through the pummel to create an X. You can see the breast collar adjustment strap running through the pummel strap. you can pull on either side of the adjustment strap without the saddle moving. Another angle of the pummel strap creating a X for the adjusting strap to go through. The only time my breast collar is going to pull on the saddle is if I’m dragging a calf to the fire or going up a hill. If you’re using a pulling collar, you want it to fit right alongside the shape of the neck. If you use a flat one, it’s going to inhibit the shoulder. If you use one that goes over to the d-rings it will also inhibit the shoulders. Watch your mule. When he gets tired of the pain and pressure from an incorrect breast collar (or saddle, for that matter), he’ll start short-striding. He will get all up underneath himself in the front end. Short striding means a mule’s front legs are working harder than their hindquarters. They’re trying to get away from the pressure of the breast collar because it is bumping their shoulders. Rather then stretching their legs out full-length (like you want them to), they will come up short stride. Instead of an 18-inch stride, they will restrict their movement to a 9-inch stride. 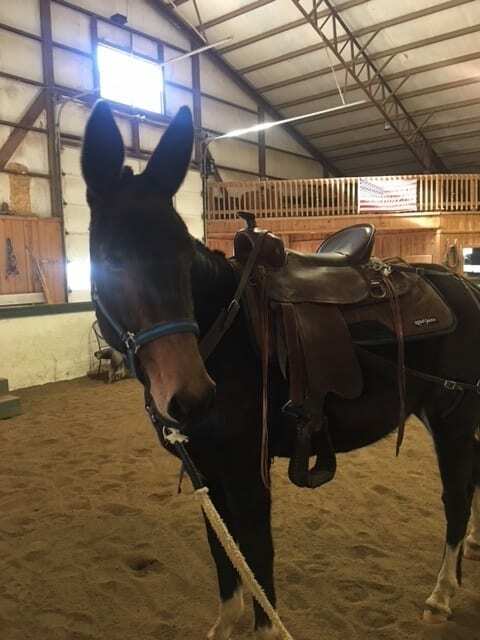 One of my clients, Cheryl, sent in three photos of her mule wearing my breast collar. In the photos, she has the collar attached directly to the pommel. The pommel is the front of the saddle below the horn. You can see that the breast collar adjusting strap is incorrectly running through the pummel. You can see the adjusting strap incorrectly running OVER the pummel in this picture. Another wide angle view of the incorrect breast collar placement. There is a strap that is 28-inches long called a pommel strap, that is supposed to go around the pommel and the breast collar goes through that strap. By going through the pommel strap, the breast collar is able to move easily. In the photo, Cheryl isn’t using the pommel strap so the breast collar is constantly pulling on the saddle, making the saddle go forward. In addition, she doesn’t have a rear cinch on her saddle (always ride with two cinches, tight in the back, loose in the front). 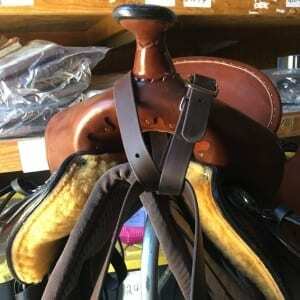 Without a rear cinch, or a britchen, the saddle will move forward and the breast collar is not going to work correctly. As mentioned, the breast collar – my breast collar – should be connected to the pommel with the pommel strap that comes supplied with the breast collar. I attach the pommel strap first to the pommel, which creates an X. Take that strap through the hole in the pommel, come back around to the top of the pommel on the right-hand side of the horn, then cross and go under the pommel again, and finally come across the top of the pommel. That is what makes the X – a simple loopty loop. Once the X is created with the pommel strap, take the long strap from the breast collar and go through the 28-inch strap. Finally, buckle on the right-hand side. 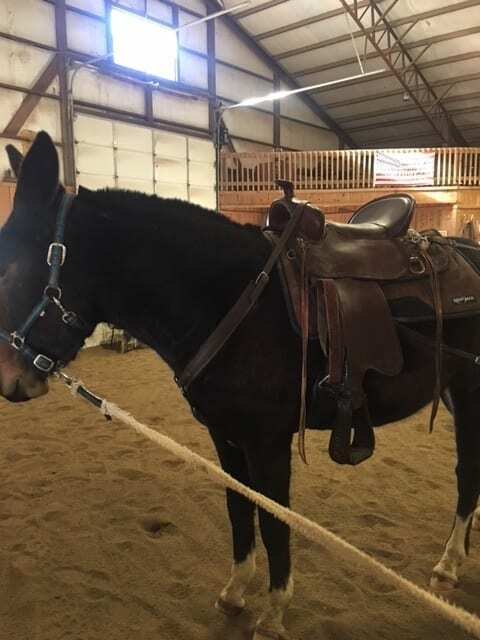 As mentioned above, in the images Cheryl sent in, she does not have a rear cinch on her saddle. Not only is the saddle going to ride forward which is inconvenient for Cheryl, but it will cause the saddle to hit the mule’s scapula as well as the sixth and seventh rib. Inconvenient for the rider, hell for the animal. Unlike a horse, the mule needs to have two cinches, loose in the front and tight in the back. Horses are different than mules and donkeys. Their needs are different than mules and donkeys. Treating a mule or donkey like a horse will destroy an otherwise awesome animal. Sure, everything will ‘look good’ and the animal will appear to be doing fine, but a year from now you’ll see the mule begin tripping and showing signs of strong discomfort. The 28-inch piece is called a pommel strap. 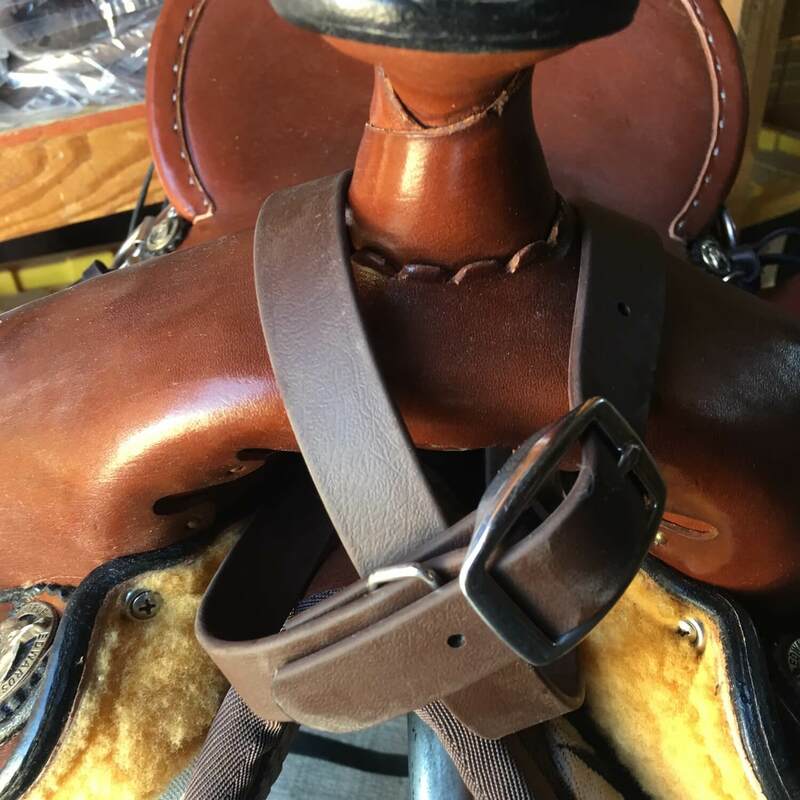 The strap goes between the mule’s legs and hooks to the front cinch is simply called a cinch snap. Coming up from the cinch snap is the breastplate. This is the bigger, wider piece that’s somewhat V-shaped on the bottom and round on the top. It’s attached to a ring. The two straps that go up on both sides are called neck straps, right and left neck strap. The adjusting strap is the one that comes from the right neck strap, through the pommel strap, and then into the left neck strap. That’s a lot of information about breast collars. The most important thing to take away from everything above is this: mules and donkeys are different than horses. Treat a mule like a horse and you’ll have an animal that is unhappy and will eventually sustain serious injury. Treat a mule or donkey like a mule or donkey and you’ll have a lifelong friend who will do whatever you ask them to do. You can find my breast collar here on my website. No matter what you buy, make sure it’s designed for the mule and donkey and does not sit fixed to the pommel. You want it to have give so it can move with the animal. If you have any other questions about breast collars or anything related to the mule or donkey, give me a holler, 602-999-6853.